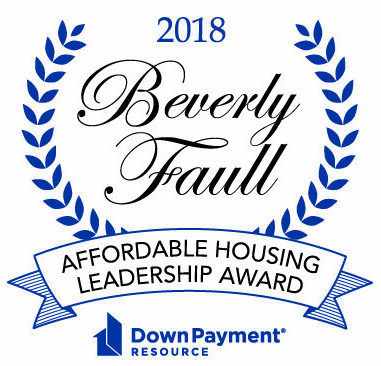 The Beverly Faull Affordable Housing Leadership Award is named in memory of accomplished real estate veteran Beverly Faull and recognizes an individual who has demonstrated leadership in providing more access to homeownership and affordable housing finance solutions. As a well respected veteran in the MLS and housing industry and one of Down Payment Resource’s (DPR) first employees, Faull truly believed in the company’s mission to provide greater access and awareness to down payment assistance programs. Faull was responsible for building DPR’s MLS business and putting its tools in the hands of more than 300,000 Realtors across a dozen MLSs. John O’Callaghan has decades of experience advocating for affordable housing in Atlanta and beyond. 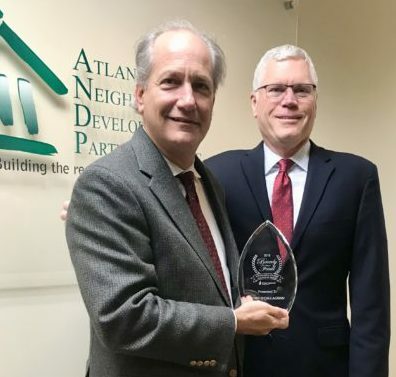 As President and CEO of the Atlanta Neighborhood Development Partnership, Inc. (ANDP), O’Callaghan leads the organization’s policy and housing development programs and also spearheaded a regional foreclosure response initiative that was awarded the National Housing Conference 2015 Housing Visionary Award. “We’re proud to recognize someone who is making a positive impact on housing in Atlanta. Under O’Callaghan’s leadership ANDP has been a model of how nonprofit organizations can serve and support the unique needs of their communities,” said Rob Chrane, CEO of DPR. The award includes a financial donation by DPR to the recipient’s housing non-profit of choice. O’Callaghan will designate the award to ANDP where it will be used to support the organization’s efforts to lift homeownership in communities of color. Since the foreclosure crisis, the organization has focused development strategies in neighborhoods struggling with high levels of negative equity. Under O’Callaghan’s leadership, more than 500 foreclosed and vacant homes have been returned to affordable homeownership and more than 800 homebuyers have been connected to down payment assistance. Read more about the 2018 award. Down Payment Resource believes in Habitat for Humanity’s mission of bringing people together to build homes, communities and hope. Each year, our company sponsors and participates in Habitat builds with our partners. Learn more about the families we’ve helped. Ms. Brown grew up in her mother’s home and wanted that stability for her own daughter’s future, as well as a safe community where she could play. She works in housekeeping at a medical facility. She enjoys cooking and volunteering at her daughter’s school. Together, Mrs. Brown and her daughter stood on the front porch as they accepted their keys to the house. Her daughter wiped happy tears from her eyes as she watched her mom share what this home meant to her, and thanked her family and the volunteers for their support. Our team participated in the final build day for their new home. Read the full story. Gwendolyn has been a successful Habitat homeowner for more than 10 years — she moved in when her daughter was just in elementary school and now she’s headed to Georgia State University to earn her nursing degree. Gwen tearfully shared how much this home meant to her and her small family. Some of her coworkers at Georgia Tech helped her build this home years ago. 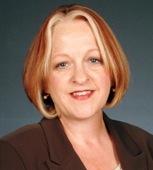 Her homeownership goal was achieved with the help of Habitat, sweat equity, hard work and multiple homebuyer classes. She raised her daughter here and became a part of the community. And, on this cold day, she joined us in painting the exterior of her home. Read the full story. Delores Robinson has lived in Austin, Texas her whole life and for the past seven years she has been working as a Bus Monitor for Austin Independent School District. She will live in her new home with her 16-year old great-grandson, Jaquan. Delores believes that owning a home will change her life because she’ll have more stability and won’t have to worry about where she will live next year. Our team and members of the Austin Board of REALTORS participated in a build day for the new home. See more photos. Down Payment Resource partners with Giveback Homes on our Habitat for Humanity builds as well as efforts to support families impacted from natural disasters. Giveback Homes collaborates with real estate professionals to do social good in the U.S. and across the globe.